Karnak Open Air Museum is an archaeological museum in Luxor, Egypt. 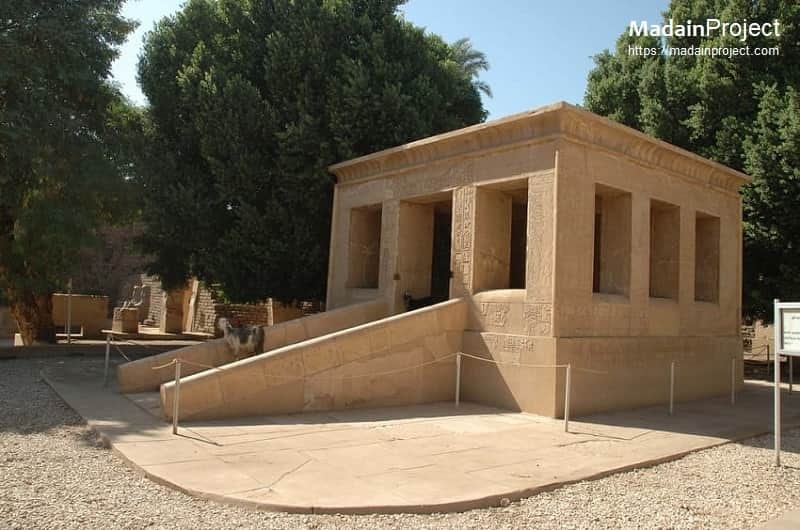 It is located in the northwestern corner of the Precinct of Amon-Re at the Karnak complex. 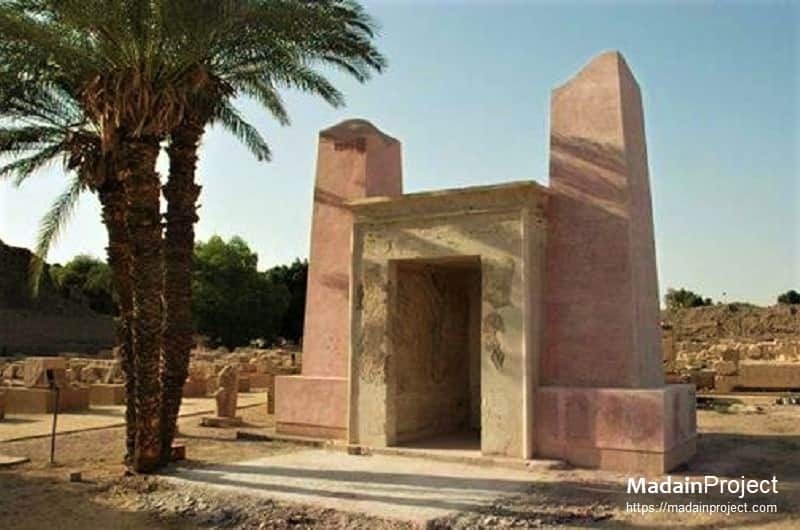 The Red Chapel of Hetshapsut, or the Chapelle Rouge originally was constructed as a barque shrine during the reign of Hatshepsut. She was the fifth pharaoh of the eighteenth dynasty of Ancient Egypt and ruled from approximately 1479 to 1458 BCE. White Chapel of Senusret I as seen looking from south towards north, is made of limestone. Its columns hold reliefs of a very high quality, which are hardly seen elsewhere at Karnak, and depicts Pharaoh Senusret being crowned and embraced by Amun, Horus, Min and Ptah. The barque shrine of King Tuthmosis III, in front of the fourth pylon. It was dismanteled and used as filler for third pylon. Chapel of Amenhotep I, 18th dynasty, in North West Corner of Karnak Temple compound. It was dedicated to the god Amun. Later it was modified by Hatshepsut circa 1465 BCE, and then dismanteled by Amenhotep III and was used as fill for third pylon. 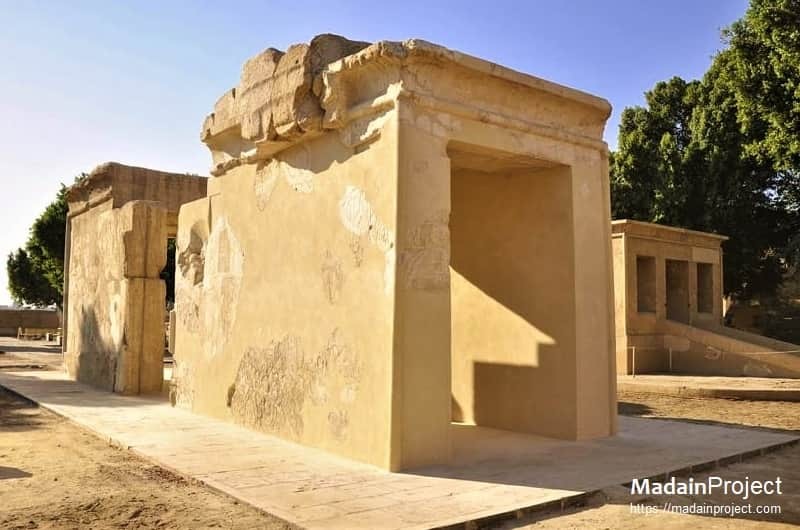 Barque Chapel of Amenhotep II, was a small calcite shrine of a rectangular structure with a roof and a single entrance door, opening to the east. 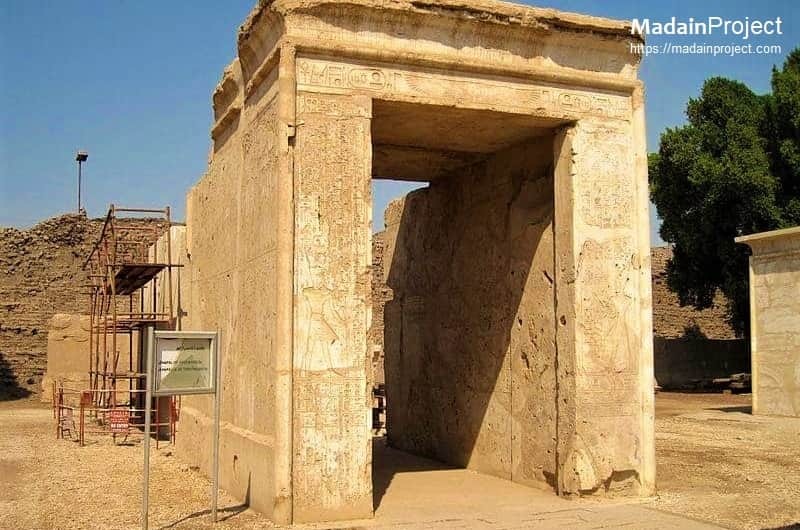 It too was disassembled the "festival court" of Thutmose II for the construction of the third pylon, he dismantled the shrine and used part of it as fill. 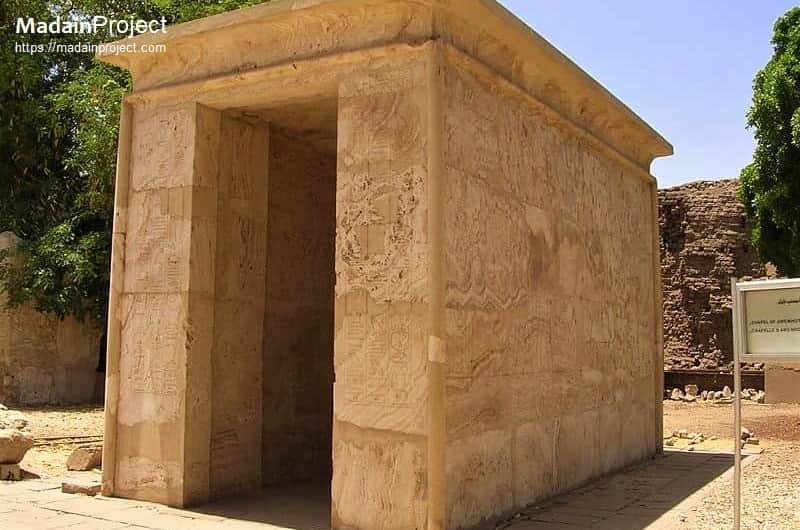 Chapel of Thutmosis IV, was intended for people who had no right of access to the main [Karnak] temple. 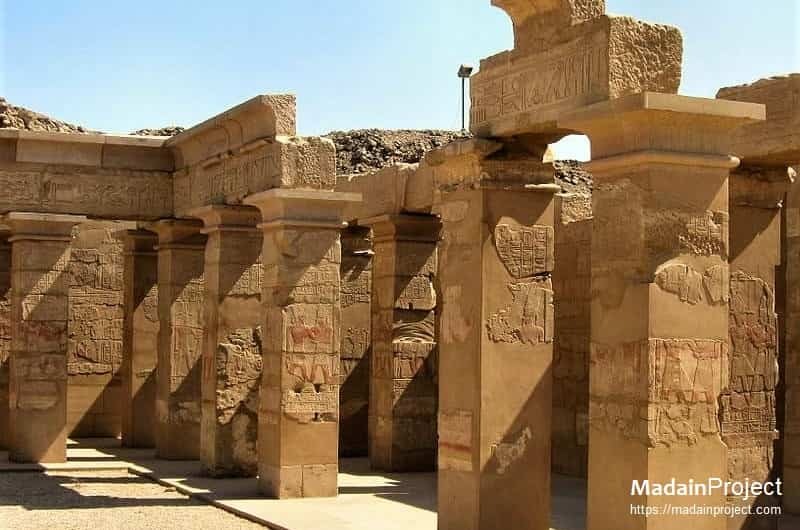 Originally constructed against the back or eastern walls of the main Karnak temple building, it was reconstructed in the Open Air Museum by CFEETK mission in Karnak. Thutmosis IV erected this brightly painted sandstone peristyle hall in the court of the fourth pylon of Karnak during his reign.